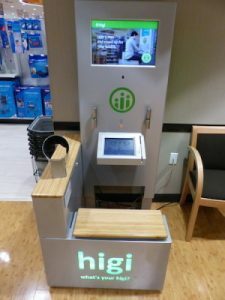 CHICAGO – higi, a consumer health engagement company with over 10,000 smart health stations located in pharmacy, grocery and mass merchant retailers nationwide, Wednesday announced Darren Singer as its new group vice president of Network Alliances. In this newly created role, Singer will call on his extensive retail pharmacy background and consumer brand expertise to help higi unlock and deliver the greatest value for all its stakeholders, most especially consumers. Singer will partner with the team to expand higi’s consumer engagement programs, helping empower consumers looking to get more from their pharmacy interactions and retailers looking to increase loyalty and foot traffic into their stores. These programs will drive critical collaboration between healthcare organizations seeking to deliver care more conveniently and cost effectively, and brands looking to build meaningful connections with consumers and higi at the core. Singer joins higi from his active consulting company, which, in addition to higi included strategic counsel to Linkwell Health, TowerViewHealth/Fellow and due diligence for Private Equity, work that centered on connecting stakeholders across the health and wellness ecosystem. Prior to that, he served for over two decades as business unit leader for GSK Consumer Healthcare focused on OTC Wellness and Oral Care categories, helping build iconic brands like Tums, Sensodyne, Abreva and Breathe Right. After leaving GSK in 2011, he led retail pharmacy, optical and clinic operations for Safeway Albertsons and Shopko.